STEP 1 – Pay attention for signs of drowsy driving. Yawning frequently, drifting from your lane, hitting a rumble strip on the side of the road, blinking rapidly, not remembering the last few miles and missing your exit are all signs of drowsy driving. STEP 2 – If you notice that you’re doing any of the behaviors mentioned above, it is time to pull over. Rolling the window down or cranking up the music seem like they ought to keep you alert, but the truth is, they do not. Instead of trying to power thru your trip, get off the road and take a break. STEP 3 – Recharge. Park your car in a safe place, lock your doors and set the alarm on your cell phone. Take a nap and get some rest. When the alarm goes off, take a quick walk around the parking lot or through the nearest store. Then buy a cup of coffee or a snack. This will reenergize you for the next leg of your driving marathon. For more safety tips like these, check out our Driving Safety blogs. Join a travel club – If you don’t already have a membership to a travel club, join one before you leave town. It will save you a lot of headaches if the unexpected happens while you’re on the road. Speaking of the “unexpected”… – Whenever you go on a long distance road trip, you should EXPECT the UNEXPECTED. Anticipate spending extra time on your road trip for whatever might come your way whether it’s a problem such as a flat tire or road construction that slows you down, or a nice surprise like happening upon a charming little town along your route or a tourist attraction that you didn’t know you’d be passing by. If the “unexpected” is a nice surprise, slow down and enjoy it. 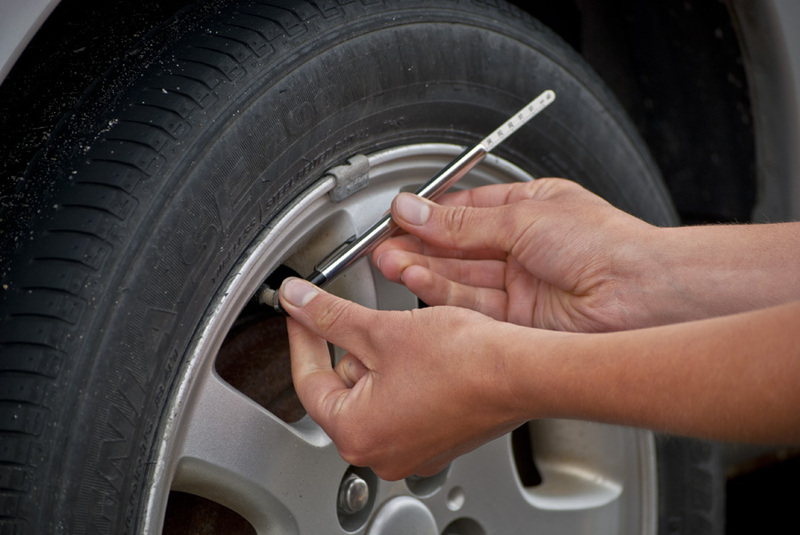 Check you air pressure – Before you leave town, check the air pressure in your tires, including the spare. Improper air pressure can lead to poor handling, lower gas mileage, and in extreme cases it can even cause overheating and a blowout. Take turns driving – Switch drivers often. 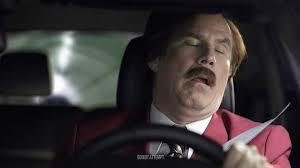 It is safer to switch drivers frequently so no one gets tired or starts “zoning out” behind the wheel. Plus everyone gets a chance to enjoy the scenery while they are the passenger. Take frequent restroom breaks – As a rule, you should use the restroom every time you stop during your road trip. Even if you don’t think you have to go, go anyway. If you haven’t traveled your route before, you might not know when you’ll come across the next rest stop, gas station, etc. Plan rest days – If you’re driving from one side of the country to the other, your trip could take a few days. Build rest days into your travel schedule. This will give all drivers and passengers a chance to rest and regroup, not to mention it will be good for your car. Constant driving can be taxing on your car. If you take a break or two, your car will be less likely to overheat, breakdown, etc. Eat healthy – Roadside convenience stores aren’t exactly known for their healthy food options, so pack a cooler for your trip. When the munchies hit you in the car, you’ll be better off with a healthy snack like fruit, yogurt, juice, etc. Entertain the kids – If you’ll be traveling with children, your trip will be more enjoyable if the kids are entertained in the car. Bring travel games, books, magazines, a children’s music CD, etc. Plan to play games like “I Spy”, sing songs, and count blue cars or big rigs. If your kids are entertained, they are less likely to cry all the way to Grandma’s house making your ride more peaceful and enjoyable. And don’t forget their favorite blankets, stuffed, animals or other comfort items that might help them nap in the car. For more tips, please check out 8 Travel Tips for a Holiday Weekend Road Trip. Stay Home – If you don’t have to be anywhere, plan on an evening at home. Keep in mind Halloween festivities start as early as 4:00 PM. In fact, accidents involving pedestrians are four times more likely to occur between 4:00 PM and 8:00 PM on this holiday than any other day. Use an Alternate Route – Try choosing a route that is less likely to be used by trick-or-treaters. There may already be kids on the streets when you leave work so plan accordingly. Discourage Teens from Driving – Keep inexperienced drivers off the road by giving them a ride or by planning activities to keep them at home. Slow Down – Keep your speed below the limit in residential areas to give yourself more time to stop, should a child dart out in front of you. 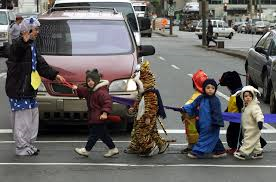 Stay Alert – Watch the sidewalks and curbs where kids are walking. They may step out from between parked cars, so be aware. Stopped vehicles are likely to be letting out passengers that may cross in front of you, so don’t pass them. Avoid Distractions – Turn down your radio and don’t use a cell phone while driving. Signal – Let other drivers and pedestrians know what you are doing. If you are dropping off or picking up passengers, turn on your hazard lights. Use turn signals at intersections and when changing lanes. No Drinking – Don’t be distracted by the holiday parties that you might attend. There’s never an excuse to drink and drive. With the holiday weekend just days away, many people are planning their first weekend road trip of the summer. And while a spur of the moment road trip might seem like a great idea, a little advanced planning will get you to your destination on time and in a safe manner. Below are eight driving safety tips to help you plan a successful road trip. Find cheap gas – Gas money can take up a significant amount of your road trip budget so plan ahead. With today’s technology, there are plenty of smart phone apps that can tell you where gas is least expensive. Download an app like GasBuddy to help you find the least expensive gas. If you don’t have a smart phone, figure out your gas budget ahead of time by using one of the many online fuel cost calculators to help you find the cheapest gas stations along your route. Pack a basic repair kit – Create your own basic repair kit by packing a few basics in a small box or duffle bag. Include items like a flashlight, roll of duct tape, pliers, and a variety of screwdrivers. Check online for roadside survival guides for other suggestions. Choose companions wisely – When you’re cramped in a car for a long amount of time, you can get to know someone really well. And if you and your companions know each other really well, time and distance will fly by you and you arrive at your destination in what seems like no time. But if you make poor choice in your travel companion(s), a long rind may have you wishing your traveled by yourself. Think carefully about the people you take with you. Make sure you can get along with them for however long the distance you’ll be traveling. Nothing can ruin a good friendship like a bad road trip. Break up the drive – If you’ll be on the road for many hours, don’t try to be a super hero and drive straight through. You won’t be as alert at 9:00pm as you were at 6:30am. Plan several restroom, stretch and snack breaks along your route. A 15-20 minute break every few hours will be good for your mind and body. If you have multiple licensed drivers traveling with you, take turns driving every couple hours. Know the law – While you may be excited to get to your destination, a hefty speeding fine or another moving violation can drain your travel budget in a hurry. Additionally, speeding can be a danger to you and to other motorists on the road. Obey the speed limit and use that cruise control to keep a steady pace on the interstate. Also, if you are passing through multiple states, be aware of cell phone and texting laws. It is best to avoid distracted driving all together, but if you must use your phone, know the laws. Some states do not allow the use of phones in construction zones, school zones, etc. Use your stretch breaks for non-emergency phone calls and texting. Do not text while behind the wheel. Pay attention to the dash – Besides minding the speed limit, your dash can alert you to any potential problems with your vehicle. If something goes wrong, a warning light on your dash may tip you off before it is too late. 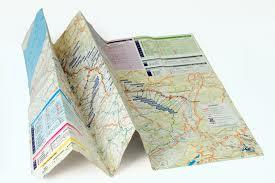 Bring a paper map – With today’s technology, it might seem silly to bring a paper road map on your trip. But what will you do if your GPS malfunctions where you’re in the middle of nowhere? 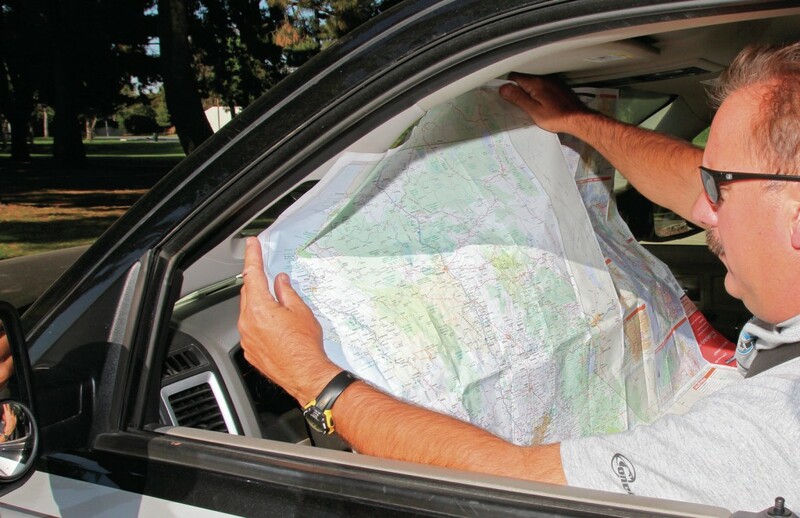 A paper map makes the perfect backup and you can use it as a travel log too. Write notes about your trip on the map and make it personal. You’ll enjoy looking at it when you dig it out of a box 10 years from now. Bring your mother-in-law – Even though we warned you to choose your travel companions wisely, what can we say? If you bring your mother-in-law, you’re trip is sure to be one to remember for one reasons or another! Whether you’re hitting the road for Thanksgiving weekend or taking an extended road trip over your kids’ Christmas break our road trip and travel tips will help you get to your destination safely and easily. Make sure your car is road trip ready. Before you even set out, make sure your car is ready for the trip. Have it thoroughly serviced. Get an oil change, check the breaks and fill all fluids. If you’re not sure what else to have checked or serviced, look on line for car maintenance checklists. If you don’t know how to change a flat or jumpstart your car, learn before you leave town. When you’re on the road, keep an eye on the dash. If any warning lights come on, take your care to a professional to have it checked out. Download helpful apps. Before loading the car, download helpful apps that will assist you along the way. Consider Breakdown Lane which will instantly show you a map of the closest mechanics and their customer ratings no matter where you might breakdown in the country. GasBuddy is another helpful app which will help you find the cheapest gas at gas stations along your route. Also, download traffic and weather apps. Bring plenty of music, but turn the radio on, too. With today’s technology, it is easy to create your own playlists of your favorite tunes. Be sure to bring plenty that you can jam too when the road ahead seems especially long and boring. Also, take time to turn on the radio. The radio will offer local news. The traffic and weather updates will be especially helpful. But the local radio stations are also a window to the world around you whether you’re passing through a small town or a big city. You might even learn a thing or two about your surroundings as you pass through. Check the weather. Depending on where you are traveling, the winter weather season may be in full swing between Thanksgiving and Christmas. Dangerous winter weather might influence what route you take. Check the weather forecast along your route before you hit the road, and then tune your radio to local stations for weather updates as you travel. Have a driving plan. Once you’re on the road it is helpful to have a plan. Switch off with another licensed driver traveling with you so you don’t get too tired behind the wheel. Also, plan frequent stretch, snack and restroom breaks. Finally, think about your car. Don’t drive at a sustained high speed all day long. In some parts of the country the speed limit increases dramatically in the middle of nowhere. The wind resistance increases significantly with speed, so when you’re driving at a higher speed than normal it places a huge demand on your engine. Stick to 55-65 mph and you’ll prolong the life of your engine. Back off the throttle in the mountains. If you’re taking a long road trip, chances are you’ll cross a mountain range somewhere along the way. Back off the throttle when you’re going up a mountain. There is no law that says you must maintain the same speed traveling through the Rockies as you did across the plains of Kansas. Your engine has to work a lot harder to get you up the mountain. Slowing down a bit will save wear and tear on your car and engine. It will reduce damage caused by overheating and improve your gas mileage. And if that isn’t a good enough reason, there are plenty of tight curves and steep hills in the mountains that do not have guard rails. Don’t drink and drive. It may be the holiday season, but drinking and driving don’t mix. You’ll have plenty of time to celebrate the holidays when you arrive at your destination, so get there safely. Have fun. No matter what might happen along the way, remember to relax, have fun and enjoy the holidays with family and friends.